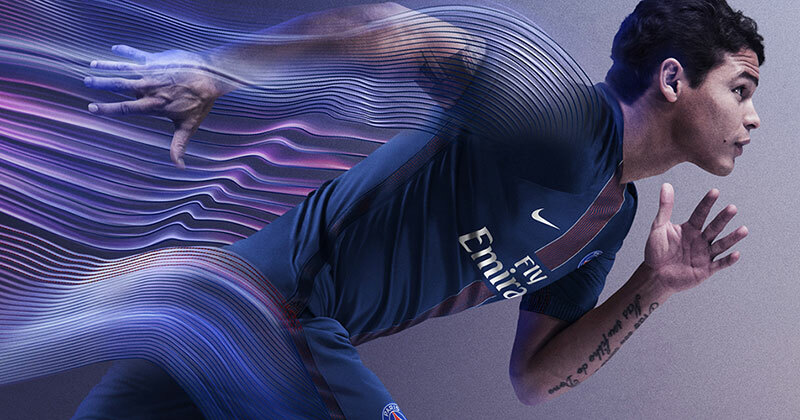 PSG and Nike have unveiled the club's new home kit for the 2016-17 season. 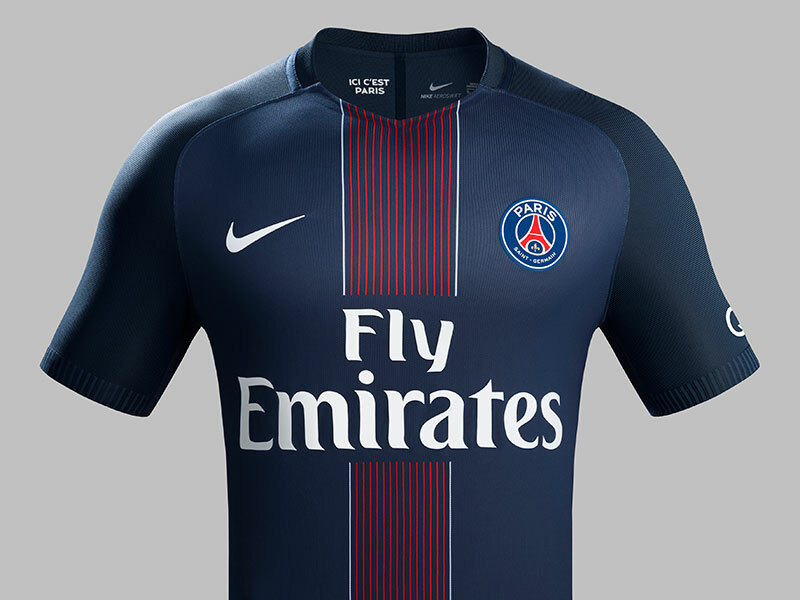 Reigning French champions Paris Saint-Germain will defend its title in the 2016-17 season wearing a new Nike home kit with a modern interpretation of the club’s iconic stripe. The new shirt’s body boasts traditional PSG blue with a modern V-neck collar while its signature center stripe is now broader and formed by a collection of red pinstripes bordered on either side by a defining white stripe. The subsequent bold graphic celebrates the history and DNA of the Paris club, while the shirt’s sleeves and shoulders feature a contrasting agility rib fabric. With subtle stripes in two tones of blue, the textile creates a color shift when players are in motion. Odes to club pride appear on both the interior and exterior of the shirt. “Paris” is knit into the back collar, which also features an original woven signature stripe. “Grandeur” and “Passion,” two of the club’s stated core values, adorn the inside cuffs and are also represented by the home palette: blue for grandeur and red for passion. The sides of the kit feature a blue stripe detail that runs the length of the shirt and down the matching blue shorts. The stripe expands when the player is in motion providing greater ventilation and revealing bold flashes of red underneath. What do you think of the new PSG home kit? Let us know in the comments below! Make sure you follow us on Facebook, Twitter, Instagram and YouTube! The Jumpman designs will make their debut in the Champions League clash at Anfield later tonight. 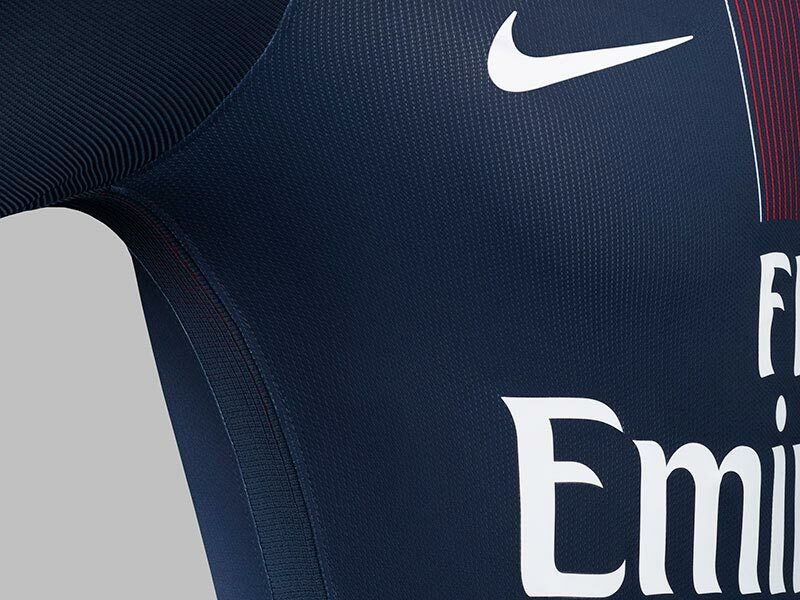 Paying homage to famous Parisian monuments, this football kit signifies a triumphant era for the Ligue 1 giants. Last year’s Ligue 1 runners-up look set to enjoy one of the most exciting seasons in their history, so it’s only fitting that Nike have given them a range of kits that live up to all the hype.